In the co-main event of January 26, 2019 on PBC, Brooklyn’s Adam Kownacki (19-0, 15 KOs) continued his climb up the heavyweight rankings by earning a second-round TKO victory over former title challenger Gerald Washington (19-3-1, 12 KOs). 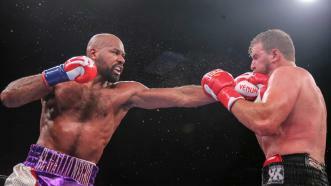 On June 10, 2018 PBC on FS1 saw former title challenger Gerald Washington (19-2-1, 12 KOs) outbox Wes Nofire (20-2, 6 KOs) on his way to a unanimous decision victory in their 10-round battle of towering heavyweights. 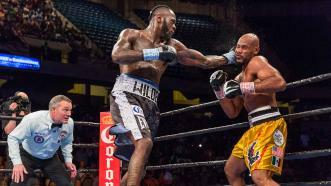 Heavyweight champ Deontay Wilder overcame a slow start to defeat Gerald Washington by fifth-round TKO. 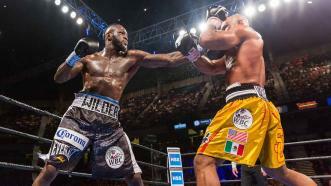 Making the fifth defense of his heavyweight title, Deontay Wilder overcame a sluggish start to earn a fifth-round TKO of previously undefeated Gerald Washington. 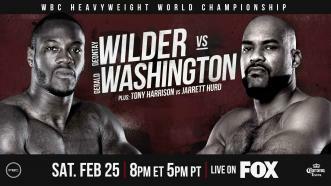 The WBC heavyweight champion of the world Deontay Wilder makes his long-awaited return to the ring to defend his title against undefeated heavyweight prospect Gerald Washington. Washington controlled the early rounds but Mansour battled back late, resulting in a split draw on the judges' scorecards. It was a tale of two halves in Shelton, Washington, ending with a split draw for Gerald Washington and Amir Mansour.